As the days are starting to get slightly lighter our minds are starting to wander to our favorite time of year-wedding season. So what can we expect to see trending for weddings in 2015? Moving away from the traditional sit down or buffet meal, it is becoming increasingly popular with couples to incorporate the tasty delights of food trucks. 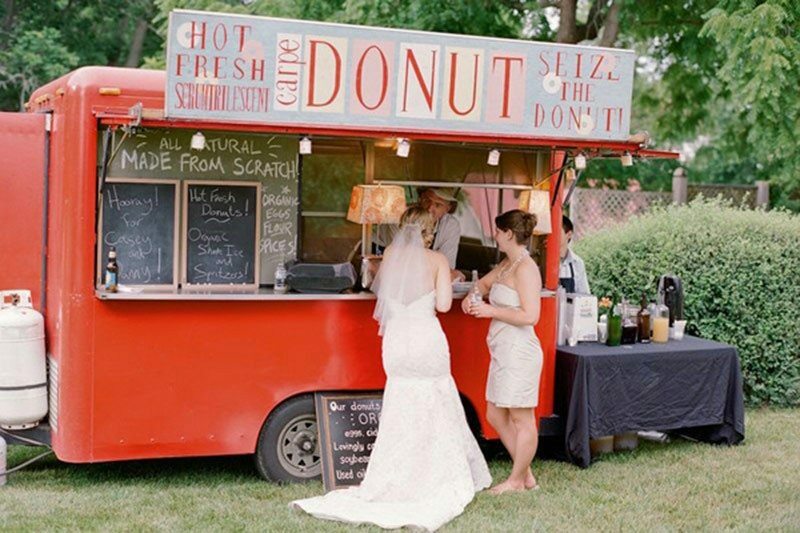 Food trucks do not have to be limited to fried food goodies but can even provide your guests with sweet delights such as crepes and cupcakes – just make sure the lines don´t get too long. Classic elegance is making a comeback this year and 2015 will be the year of romantic luxe but with a twist using modern themes. 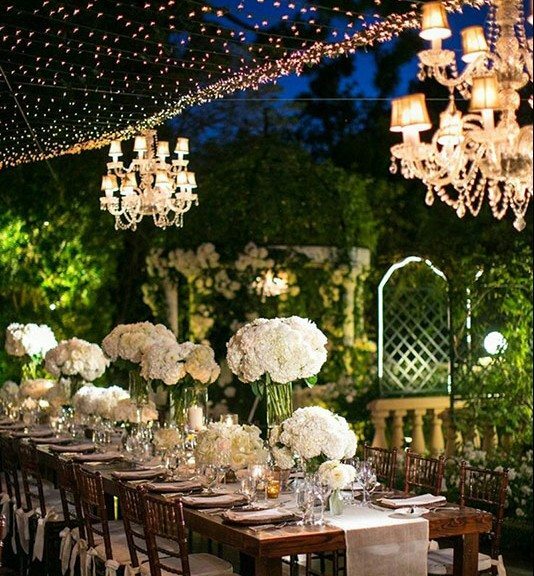 Weddings will be more sophisticated and sleek, a shift away from the Rustic Vintage look we have seen in past seasons. Pale flowers will continue to reign supreme for weddings in 2015 – they are here to stay. Expect to see an abundance of peonies, hydrangea, spray roses, sweet peas and garden roses. We expect to see a lot of these flowers in whites, and the brightest color will be a pale pink. This will work perfectly with the classic elegance trend providing that sought after sophisticated feel. Move over silver and gold, 2015 is the year of copper. Copper will play a major role in decoration and will pop up everywhere. One way to incorporate this trend is to use statement vases with variations of metal materials showcasing the flowers; we are predicting this deco style will be extremely popular. 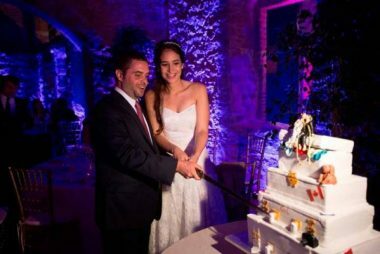 It´s a fun and inexpensive way of getting that touch of color for your wedding. The Ombre style will still be popular this year particularly in relation to flower arrangements and wedding cakes but expect to see more subtle color variations. One way to tie in this style to your wedding is by scattering petals on the aisle to create this beautiful effect. We are predicting that this trend will also be incorporated into bridesmaid’s dresses. With regards to wedding dresses, expect to see ball gowns with full skirts made of lighter fabrics such as tulle, which will be extremely popular with 2015 brides. In addition, off the shoulder dresses will also be trending. This type of wedding dress is perfect as it is flattering on all body types and will suit every type of wedding from classic to boho. 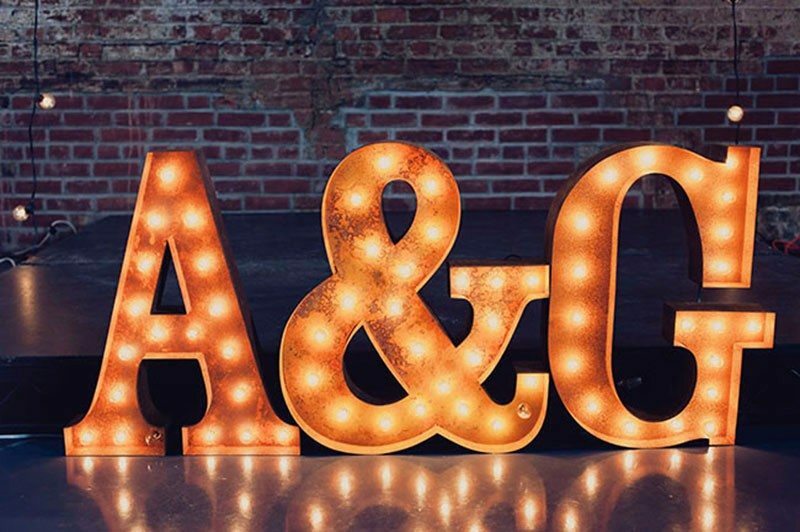 For lighting consider using fairy lights, pin-spot lighting, lit-up initials or soft whimsical twinkle lights to be bang on trend and provide a romantic and personalized feel to your wedding. 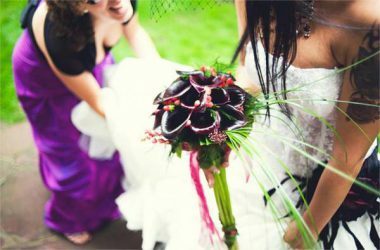 Hopefully, this has helped you decipher The Top 2015 Wedding Trends and, like us, have you yearning for the 2015 wedding season. After choosing your wedding venue, it’s time to get creative! When planning your wedding it is important to decide on a theme and/or a color scheme in order to ensure you have some sort of organization and your big day doesn’t look like an array of finger painting. All photos on our website are of real weddings planned by Crystal Events. If you see these photos on another planner's website or social media page, we kindly request that you notify us immediately.